• DC input jack, (5.5 x 2.1 DC input, centre positive) is for the supplied Mean Well power brick. • USB connector for charging a smartphone, tablet, supply light lamp or external sequence. A second DC jack socket on the face panel allows for daisy chain connecting to a further power StrongPWR module for larger systems. There are input filter on each regulator for minimal output noise and interferences. 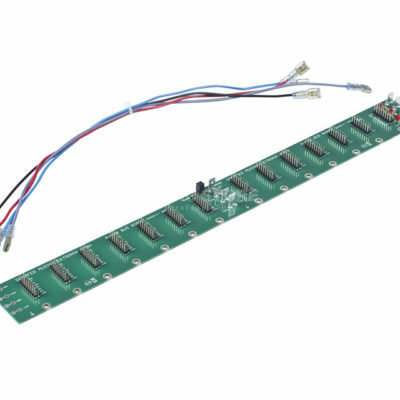 Output power is similar to the BoardPWR at 45w and connects to the 2 Konstant Lab filtered bus boards with 2 x 200m long ribbon cables. 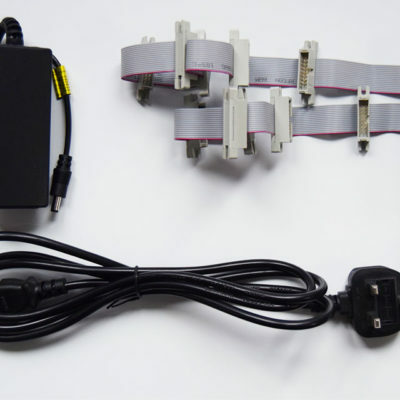 Particularly suitable for DIY power installation as you are not dealing with mains wiring and eliminates the need for cutting in a switch to your case. 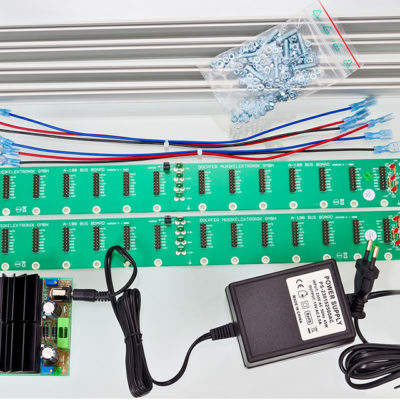 The two Konstant Lab Filtered bus boards supplied with this bundle each have 18 shrouded (sideloaded) output headers. The Filtered BusBoards are low profile. 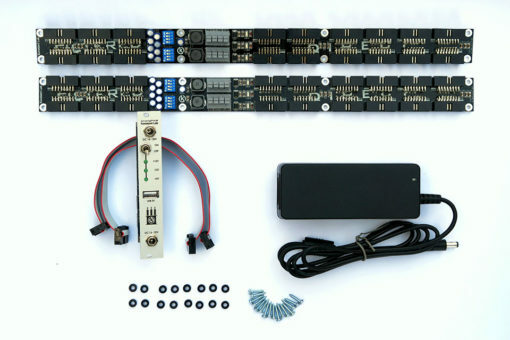 This is ideal bus board for all Konstant Lab power supplies but will work with other eurorack power supplies. The 18 output headers are divided into 2 areas; 12 direct headers with decoupling capacitors and 6 filtered headers with unique filtering circuits. The filtered headers are dedicated for feeding analog modules which are sensitive to power quality. At SynthRacks we are happy to install and test this system into a case we are making for you .